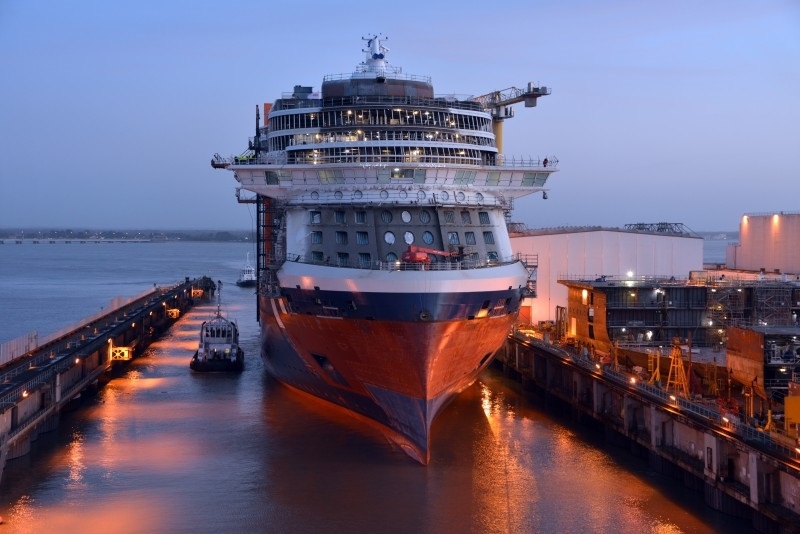 Celebrity Cruises’ newest ship, Celebrity Edge, recently floated out of her dry dock at the STX France shipyard, marking a milestone in its construction process. “This truly is an exciting moment for our brand,” said Lisa Lutoff-Perlo, president and CEO of Celebrity Cruises. “With exterior construction complete, the amazing STX France team will now turn their attention to bringing all of the meticulously designed venues and transformational staterooms and suites to life,” she added. Homeporting in Fort Lauderdale, Flodrida, Celebrity Edge will be making her first sailing on November 21, 2018. According to an announcement, she will spend her inaugural season sailing alternating seven-night eastern and western Caribbean itineraries before transporting guests to the stunning vistas of the Mediterranean with a range of seven- to 11-night sailings from iconic cities like Barcelona and Rome in 2019. Bookings are now open. 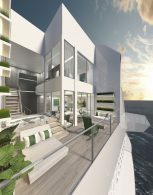 Celebrity Edge will also be joined by three sister ships in 2020, 2021 and 2022. Celebrity Cruises’ 12 ships offer modern luxury vacations visiting all seven continents, while also presenting unique cruise tour experiences in Alaska and Canada. Celebrity is one of five cruise brands operated by global cruise vacation company Royal Caribbean Cruises Ltd.
Celebrity Cruises is represented in Greece by Navigator Travel & Tourist Services.